The ‘Selden Map of China’ arrived at the Bodleian Library in 1659 as part of John Selden’s bequest. It was long considered a rare curiosity until 2008, when an American scholar, Robert Batchelor of Georgia Southern University, noted that it records coastal trading routes linking the port of Quanzhou in Fujian Province with other parts of South East Asia. The map is now recognised not only as a beautiful and colourful representation of China and South East Asia, but also as a unique historical record of China’s trading activities in the early 17th century. At the time no treatment was attempted, but now circumstances allow this challenging conservation project to go ahead with the combined expertise of conservators Robert Minte and Marinita Stiglitz (Bodleian Library) Keisuke Sugiyama (British Museum) and Mark Barnard (British Library). The extensive treatment of the 1m. 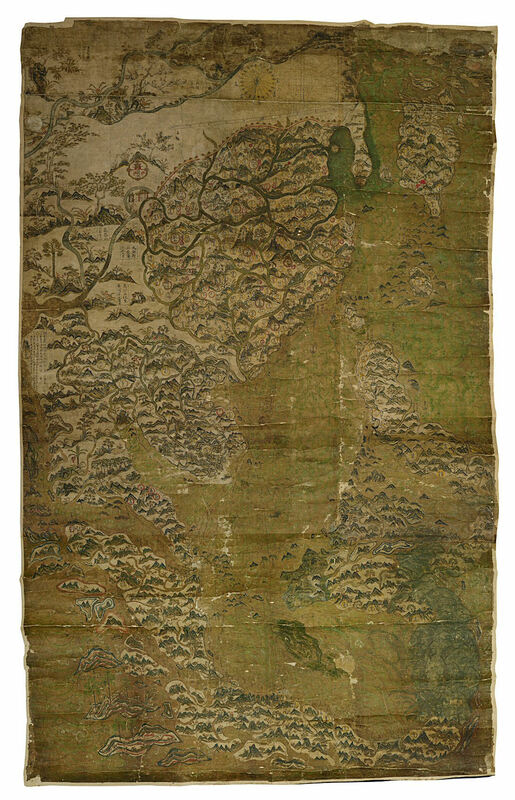 x 1.5m map, using Western and Far Eastern techniques and materials, aims to stabilize the map’s paint layer and strengthen its thin Chinese paper support. During the first stage, the map was gradually humidified by spraying purified water onto the surface from both sides using dahlia sprayers. This drew out discolouration, flattened distortions, and enabled the textile lining to be removed. The facing protects the fragile surface whilst paper patches and adhesive layers are removed from the back. Loose fragments will be secured, missing areas infilled and new paper linings applied, restoring the map’s original flexibility and appearance. This project will continue until next spring. Funding for the conservation work has been generously provided by The Pilgrim Trust, The Radcliffe Trust, Sir Robert Horton, The Mercers’ Company and Merton College. History & image of the Selden Map. 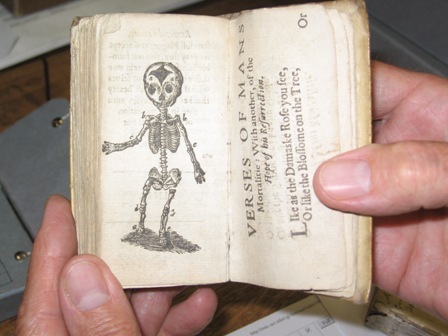 For more information about John Selden’s collections, visit the Bodleian Library website. Not long ago Robyn Adams renewed this oath in time to spend the month of June in the Bodleian Library, as the Humfrey Wanley research fellow. She’s investigating early donations to the library, which opened to scholars in 1602. The library’s foundation collections, rich in scientific and philological works, owed much to the friends and extensive network of acquaintances built up by the library’s founder, Thomas Bodley (1545–1613). In her second week of study, Adams discovered an important clue to how the library’s earliest readers used these books. 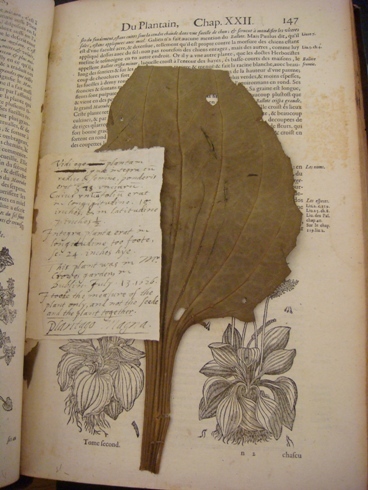 Turning the pages of one of the first books given to the library, Adams found a leaf of plantain (plantago major) pressed between the pages. A note with the leaf indicates that it was taken from the garden of a Mr Crowe, in Dublin, in 1626. Somehow the leaf made its way to the Bodleian where a reader consulted this book to confirm the identification. It could be argued that a still anonymous 17th-century reader was enhancing, rather than injuring, the volume, because it was found in a book describing medicinal herbs, at the page illustrating plantago major. Mindful of her own promise, Adams alerted the reading room staff without removing the leaf. At 384 years old, it is closer in age to the book itself than to our day, and will return to its resting place between the pages after being encapsulated in non-reactive plastic by the Conservation section. 29 January: Mme Isabelle de Conihout (Bibliothèque Mazarine, Paris) spoke at the Seminar on the History of the Book about ‘The beginning of collecting printed chivalric romances in seventeenth-century France’ She discussed the collection of Daniel Dumonstier (1574-1646), painter, collector of natural history and musical instruments, and of books. He had an especially good collection of chivalric romances, the stories of valiant knights such as Amadis de Gaule and King Arthur. In his copy of Ludovico Ariosto’s Orlando furioso, (Venice: Vincenzo Valgrisi, 1560), recently acquired by the Bibliotheque Mazarine with the help of the Breslauer Foundation, he wrote a “Catalogue de tous mes romans” subdivided into 56 French, 11 Italian and 14 Spanish. It contains some 80 titles of mostly chivalric romances; the medieval component is very noticeable, with 35 Gothic romances out of 72 known titles; what he did not collect were sentimental romances in translation, mock-heroic and antiquity romances. Dumonstier’s list raises the question of how to evaluate his collection of romances, as it was generally thought that collecting chivalric romances, after a continuous interest during the 15th and 16th centuries, disappeared in the 17th century, only to start again in the 18th century by amateurs and continue in the 19th century by bibliophiles. Was he old-fashioned, or ahead of his time? The books we own reveal our tastes in many ways, not only by their titles but by how we keep them. Another peculiarity of Dumonstier’s collection is that he wrote his ex-libris in manuscript not only on the first leaf, but also along and across the fore-edges of his books, a medieval custom completely out of use by his time. His books were auctioned in 1646; 13 books can still be found today in the Mazarine. The Seminar on the History of the Book is convened by Prof. Ian Maclean at All Souls College. At the Seminar on the History of the Book on Friday February 20th, Dr. Noel Malcolm untangled the bibliographical mysteries of the three ‘1651’ editions of Hobbes’s Leviathan. In working toward a critical edition of Leviathan, Dr. Malcolm wished to identify which of three versions with a London 1651 imprint are actually Hobbesian editions. The three versions are identified by their title page ornaments: ‘Head’ which is the true 1651 edition; ‘Bear’ which some had suspected to be a Dutch pirate edition of the 1670s; and ‘Ornaments’, long supposed to have been printed in London in the 1670s or 80s. But was Hobbes involved in the production of the second and third issues? 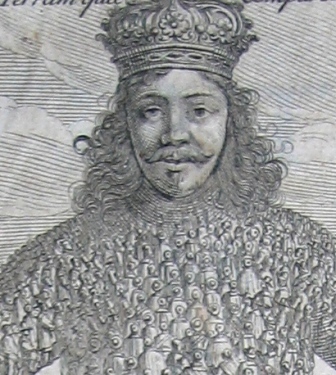 By collating dated ownership inscriptions and sale prices, Dr. Malcolm was able to create a picture of the appearance of each version on the market: the ‘Head’ through the 1650s, the ‘Bear’ in the late 1670s and early 1680s, and the ‘Ornaments’ rather later than expected, through the early years of the 18th century. A fascinating tale of subterfuge emerged around the ‘Bear’ edition, involving the London printer John Redmayne and the Stationers’ Company. In September 1670 Redmayne’s printing house was raided by the Master of the Company and two sample leaves of the Leviathan seized; three days later the Court of the Stationers’ Company was told that Redmayne’s premises were to be raided again in order to seize the remaining sheets of this new edition. A few days later this pre-announced raid took place and Redmayne duly yielded up another 38 sheets. Had this action supressed Redmayne’s intended edition? Close examination of the type, ornaments, and skeletons (fixed type such as running headers) used in the ‘Bear’ edition showed that there were two distinct sets of sheets, printed with different type and therefore almost certainly in different printing houses. Distinctive spelling and punctuation on one set of these pages strongly points to their Dutch origin. As reconstructed by Dr. Malcolm, the printing of early sheets of the ‘Bear’ had gone smoothly in the London printing house of John Redmayne until the time the intended raid was announced; then there had been a mad scramble to print more sheets, at the expense of careful proofreading. In spite of his apparent cooperation with the authorities, Redmayne evidently made use of the warning he gained from Stationers Company colleagues to cache some sheets off the premises. Finally the remaining quires were printed, also using the first ‘Head’ edition as a model, in the Netherlands. The ‘Bear’ ornament itself, along with a head-piece used in the first quire, were identified as belonging to Christoffel Cunradus, a printer in Amsterdam. The London sheets were combined with sheets printed in the Netherlands to create a new edition for surreptitious sale. After painstaking work , Dr. Malcolm has been able to identify the type used in the ‘Ornaments’ edition as that of the London printer John Darby. It is a typeface that was not in use before the late 1690s, thus dating the third edition to the late 1690s, and no later than 1702 – long after the death of Hobbes in 1679! This is a late Ming watercolour map of East Asia, including China, Korea, Japan, the Philippines, Indonesia, Southeast Asia and part of India, probably executed in the 1620s. The map has no title, and is very large, approximately 1×1.5m. The text is Chinese, but there are some Latin annotations by a later hand. The map shows shipping routes and compass bearings from the port of Quanzhou across the entire region. A panel of text on the left of the map near Calicut, its western extremity, gives directions of the routes to Aden and the Strait of Hormuz. The shelfmark is MS Selden supra 105. It came to the library from the estate of the London lawyer John Selden (d.1654) in 1659, along with a large collection of Oriental manuscripts, Greek marbles, a Chinese compass and the famous Aztec history known as the Codex Mendoza. It was most likely obtained in Southeast Asia through the East India Company’s base at Banten, but was almost certainly produced in the port of Quanzhou in Fujian province. It probably arrived in London towards the mid-17th century. The map has always been known as an interesting curiousity from the time it arrived in the Library, but its importance was first recognised by the visiting American scholar Robert Bachelor in January 2008. He was the first to notice the shipping routes, which make the map unique among both Chinese and indeed European maps of the period, and has described it as “an object of globally recognizable significance”. A tiny book arrived for inspection in the Rare Books section today. It’s the 1673 edition, not recorded in ESTC, of a book that, according to title page statements, ran to over 42 editions between 1623 and 1698. If there really were that many editions, most don’t survive at all. The recorded editions survive in only a few copies: some are unique examples. This is the typical, paradoxical fate of the cheapest and most popular books — that they were read almost out of existence. “Crumms of comfort”, by Michael Sparke, offered readers moral guidance reinforced with fold-out plates depicting examples of God’s salvation of Englishmen, from the Spanish Armada in 1588 and from plague in 1625. These historical centrefolds could have been crumbs of comfort for people living through a turbulent century.